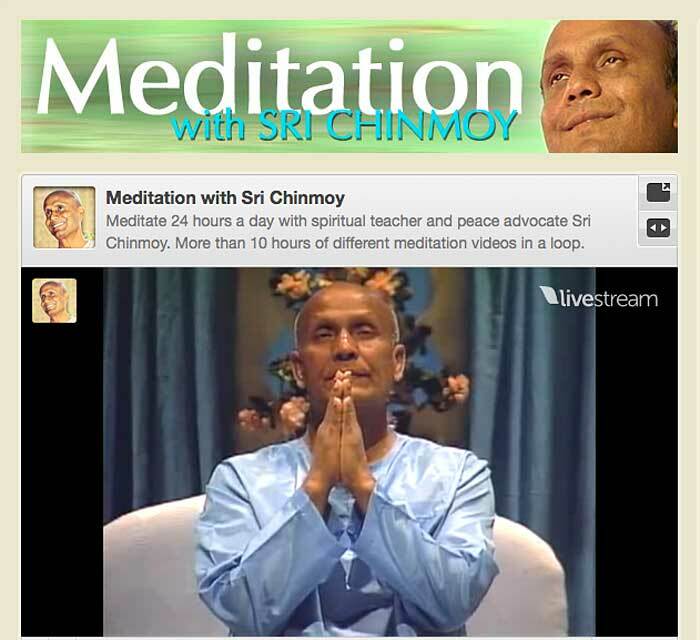 I created a new video channel where you can watch meditations with Sri Chinmoy 24 hours a day! Just click on www.livestream.com/srichinmoy and you can meditate with his own flute music as background. There are video clips with a total length of more than 10 hours online. End of 2014 the “Gandharva Loka Orchestra”, a group of 50 musical and spiritual enthusiasts, came together in Amsterdam to perform two symphonic concerts based on Christ songs of Sri Chinmoy (“Why hast thou forsaken me” & “Father forgive them for they know not what they do”). Arrangement by Panchajanya Burri & Timothy Corlis. Some photos by the lululightning.com of the rehearsals accompany the music. From an exhibition of 116,664 soul-bird drawings that Sri Chinmoy (1931-2007) created in Japan during a vacation in 1997. Over the years the artist did over 15 million bird drawings of various sizes. Filmed and edited by Kedar Misani. Meditate for an hour with Sri Chinmoy and witness his sublime oneness with the Supreme. Filmed during different meditation sessions around the world. This is Meditations Vol. 6 from a series of 11. Camera & Edit: Kedar Misani, kedarvideo Switzerland. 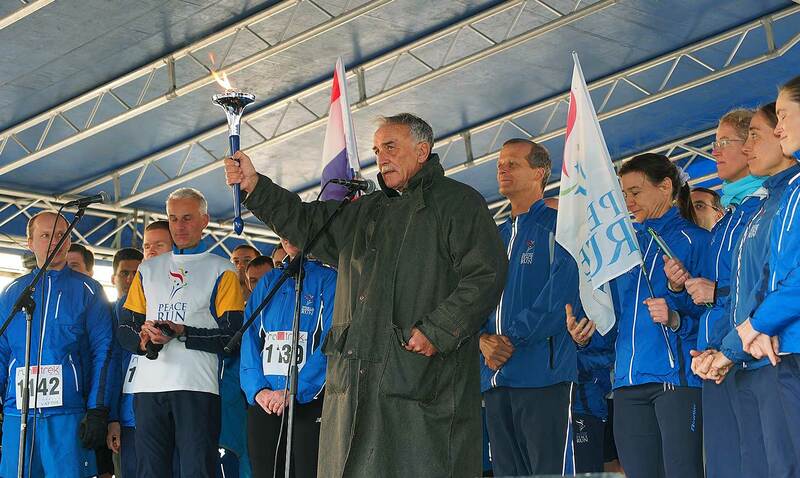 The Sri Chinmoy Oneness-Home Peace Run began 2015, on the first of January, with an event in Croatia. 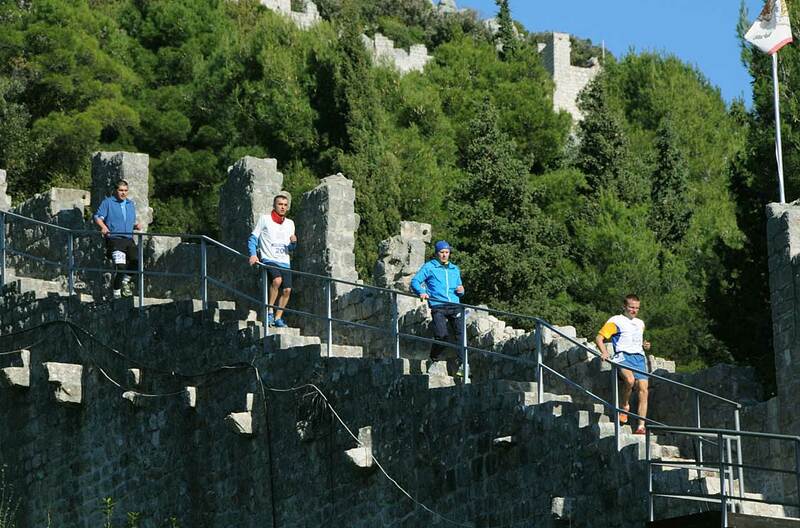 Members of the Peace Run, run through the walls of Dubrovnik. It was part of a 10km race through the ancient walled city of Dubrovnik. The Peace Run was featured on Croatian national TV and in several newspapers. On January 5th the Sri Chinmoy Marathon Team hosted a race in Ston, a village and municipality in the Dubrovnik-Neretva County of Croatia. It took place along the streets and walls in the city. 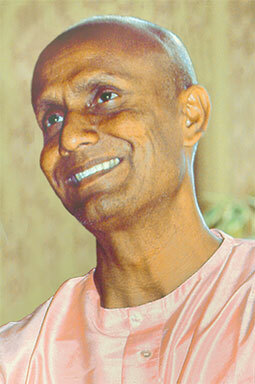 In August 2006 Sri Chinmoy spoke about the achievement of composing 13,000 songs and how to love God in God’s own Way. New York 2006. Length: 3: 27 min. Filmed in HD by Kedar Misani. This is the 32nd episode of the series “Meditation-Silence” which focuses on the power of early morning meditation. It also includes a meditation video of Sri Chinmoy, taken this time during a meditation in February 2007 in Thailand. This was his last trip to an Asian country before his passing on October 11, 2007. More episodes can be watched on srichinmoy.tv. Produced and filmed by kedarvideo, Switzerland; narration: Kanan Roberts; “Flute Music for Meditation” © Sri Chinmoy. Paul Avgerinos is one of the “Giants of New Age Ambience” according to the writers at All Music Guide. BHAKTI, his 21st album, celebrates East and West with Avgerinos’ compositions performed by an impressive list of top talent on classical Eastern and Western instruments mixed with Bollywood beats and uplifting vocals; Avgerinos himself sings and directs sound design, as well as performing on keyboards and bass, nylon, steel, 12-string, and echo slide guitars. Members of The Recording Academy embraced the popular album with a Grammy® nomination for Best New Age Album for the 57th Grammy Awards®, to be held on Feb. 8 at Staples Center in Los Angeles, CA, and broadcast live on television by CBS. “The Grammy® nomination for BHAKTI honors the spirit of love and devotion; this is a victory of the heart, a celebration of the goodness within all of us,” Avgerinos said, expressing immense gratitude for the nomination from his Redding, CT-based Studio Unicorn, which is also home to his independent record label, Round Sky Music. An established artist with 21 albums to his name, Avgerinos rarely seeks the spotlight, preferring a quiet life composing, producing and licensing not only his music, but artists in every genre. However, upon completion of BHAKTI, the album so captured his appreciation for uniting Eastern and Western beliefs and music that he felt a calling to share it with an audience beyond his own fan list; before long, his peers were suggesting that he submit it for Grammy® consideration. Bhakti is a Sanskrit word meaning love and devotion, and indeed this album may be one of Avgerinos’ most joyful and uplifting projects to date.